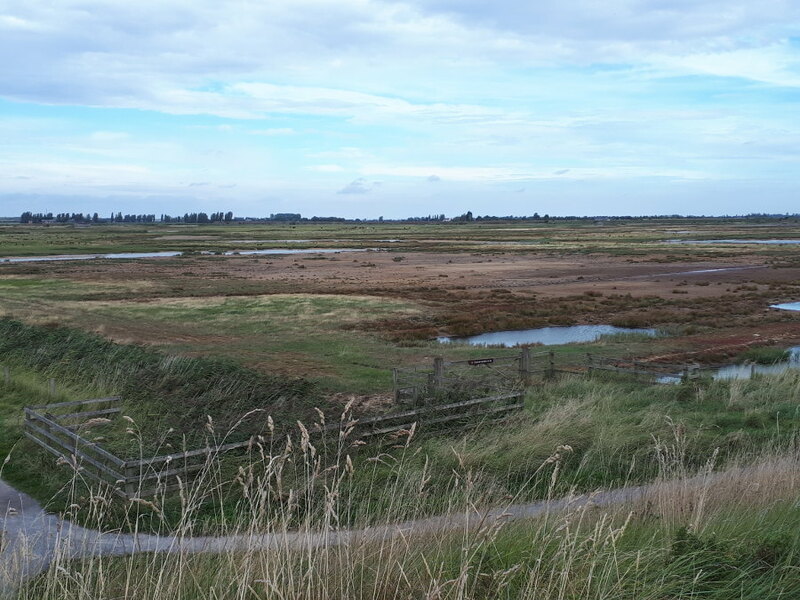 Frampton Marsh, viewed from the seawall. 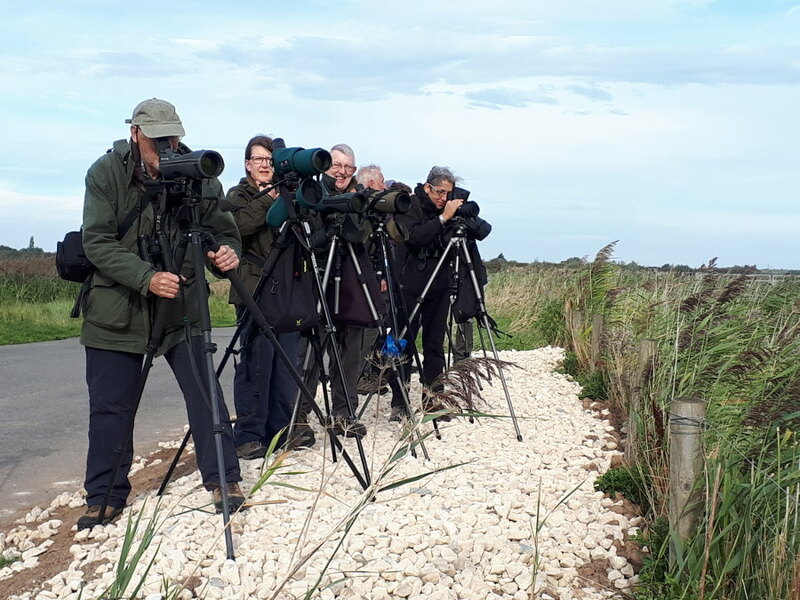 After a hassle-free journey down to deepest Lincolnshire, we met up with the York Birding gang in the car park at Frampton Marsh. It was dry, but blowing a hoolie from the southwest; not too conducive to good birding unless you are seawatching in Cornwall! Anyway, we made our way to the big lagoon by the RSPB centre. 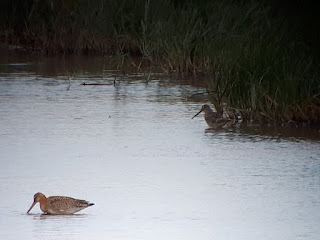 One of the star attractions, an adult Long-billed Dowitcher had been present for over a week and had been reported already, so we started grilling a huge flock of Icelandic Black-tailed Godwits, hoping to find this Snipe-sized Yank wader. 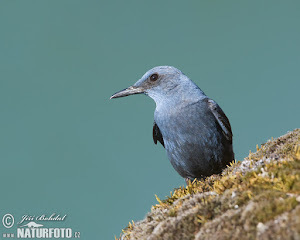 After a while it became obvious the bird was either hidden in the middle of the flock, or was elsewhere, and the latter was confirmed when Jane got some gen from the site staff a little later. 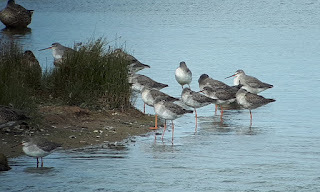 A solitary Bar-tailed Godwit was with the Blackwits, but soon flew off, presumably to find some more closely-related friends. 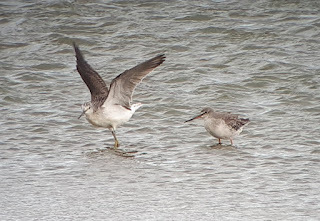 Lots of other birds were present, including a brief Little Stint with some Dunlin, a few Ruff, distant Spotted Redshank, Ringed Plovers and Snipe. A Cetti's Warbler sang from a reed-lined ditch adjacent to the car park, and a few migrants headed over - Yellow Wagtail and Meadow Pipits. 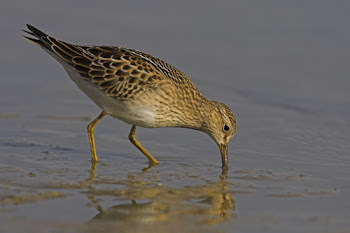 We headed towards the seawall following our Dowitcher Gen.
We carefully checked every patch of water we saw and this soon paid off when I picked up the distant Dowitcher, busy probing the water in a small creek. 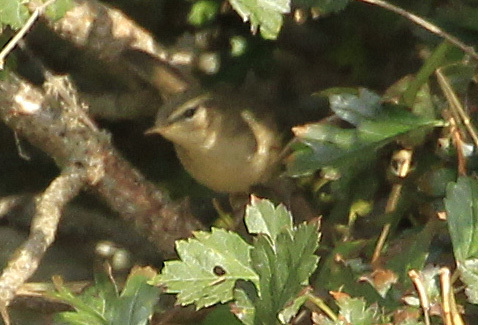 It showed well, but distantly and viewing was made a little more complicated due to the strength of the wind! We carried on the circuit having admired a flock of spangly Golden Plovers, looking stunning in the early autumn sunshine. I was keen to look for Sea Aster bee. It was certainly warm enough and there was certainly a lot of flowering Sea Aster, but the gale was presumably keeping the bees in more sheltered places, so we drew a blank. 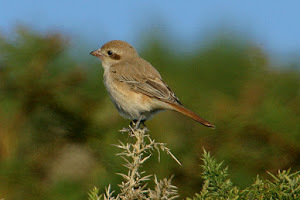 This was amply made up for with some great birding and a lively Stoat. 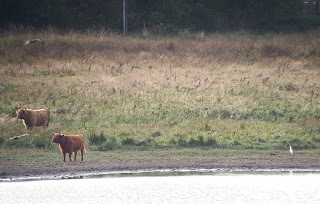 A Merlin whipped across the marsh, evading many of the group but a few sharp eyes picked the bird up. 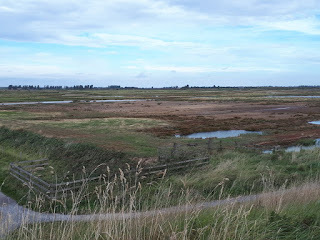 A Marsh Harrier hunted across the saltmarsh (Saltmarsh Harrier perhaps?) 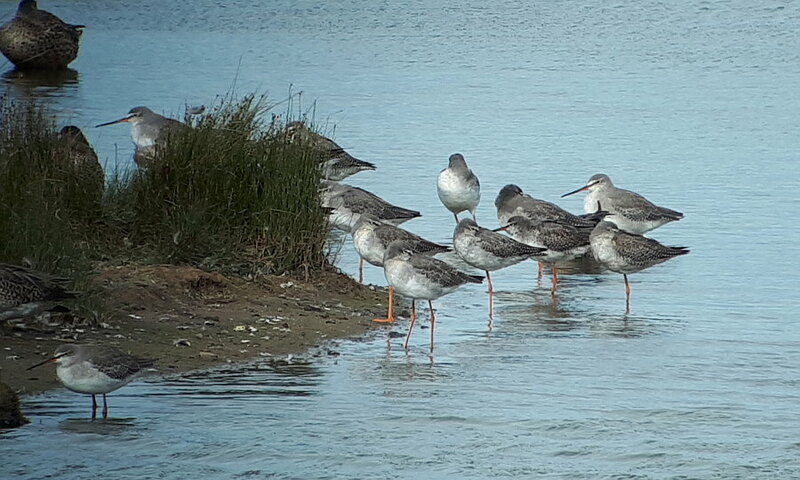 flushing Spotted Redshanks and Teal. 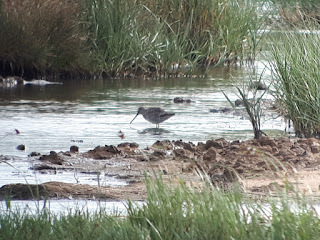 From the seawall the Long-billed Dowitcher was a little closer and we enjoyed further views. 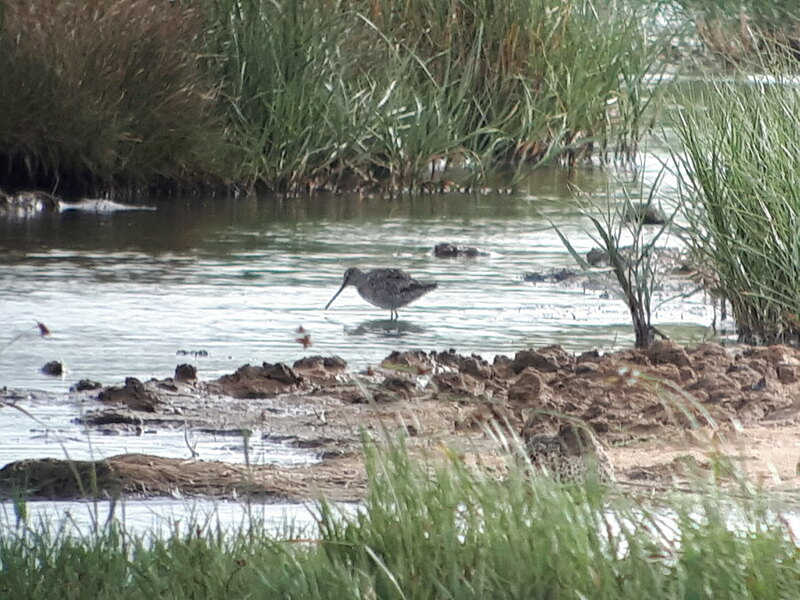 The Long-billed Dowitcher watches coyly as a juvenile Black-tailed Godwit wades in deep. 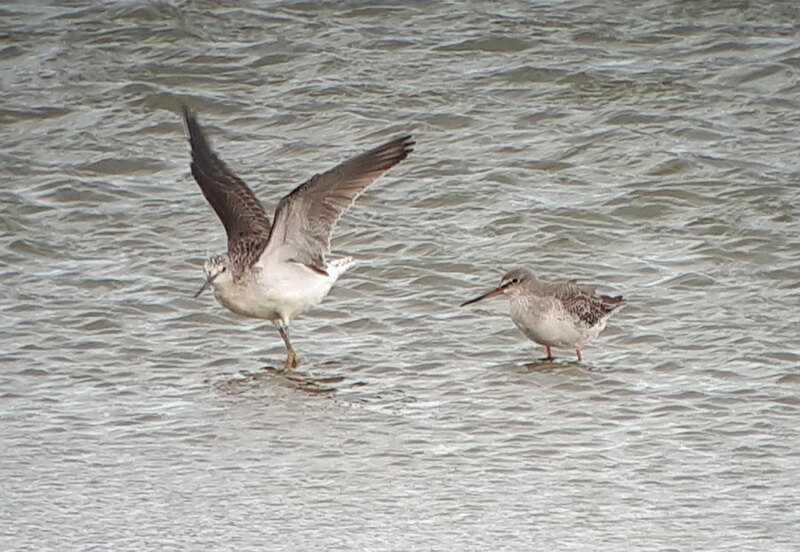 Nearby, a flock of 12 Spotted Redshanks gave great views, along with a couple of gorgeous Greenshanks, several Little Egrets and a flightly flock of Dunlin and Ringed Plovers. A single Barnacle Goose of dubious origin dropped in from high up, and later we picked out a solitary Pink-footed Goose, which may have had more genuine wild credentials. Three Pintails were among freshly-arrived Wigeon and a cute juvenile Little Stint showed well from the 360 Hide. 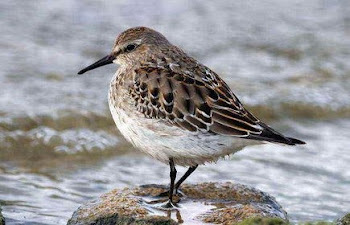 A rumour of a Curlew Sandpiper was perhaps more wishful-thinking than reality however! 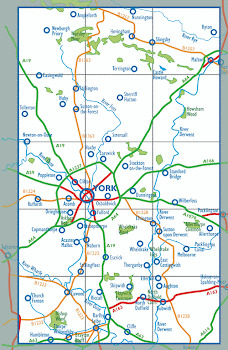 We felt we had given Frampton a good grilling and decided to head back north. 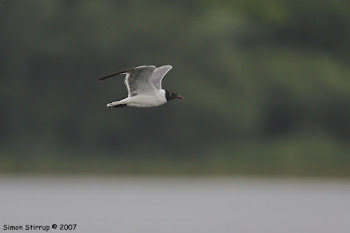 A few good birds had been seen over the weekend at Fairburn back in 'God's own' so that's where we headed. With a bit of gen, we met up at Lindike and were soon scanning New Flash looking for the reported Cattle Egret. 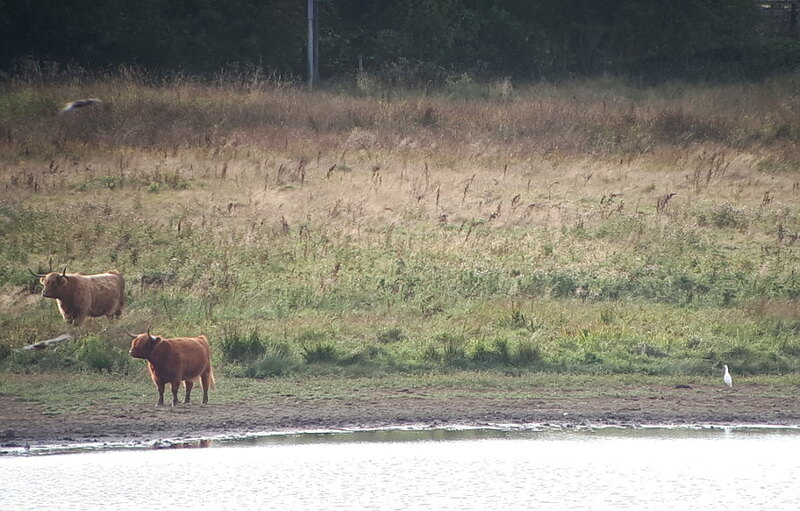 Plenty of cattle, but no sign of any little white herons. 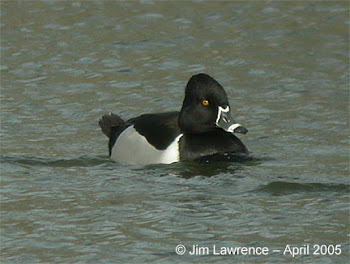 Not to be deterred, we headed round to the hide. 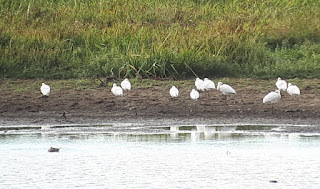 A fine juvenile Spoonbill was cavorting in the water and a Greenshank, Green Sandpiper, Pintails and Black-tailed Godwits were on the flash. 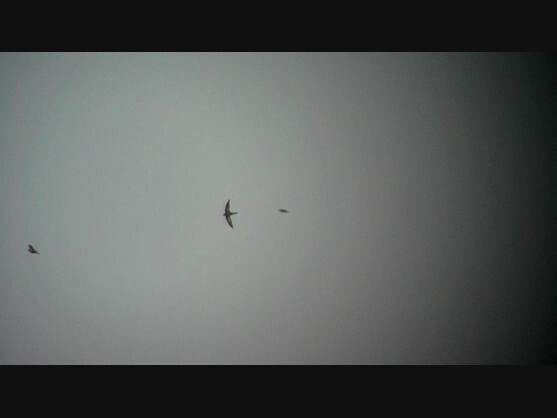 A Marsh Harrier flew past. Emanuela suggested that we would have a chance of spotting the egret from up the new trail which goes up the side of a large hill, so we headed up there. True to her word, after a long uphill slog, we reached the path along the hill and after a few minutes, Emanuela nailed it, spotting the Cattle Egret distantly back at New Flash! 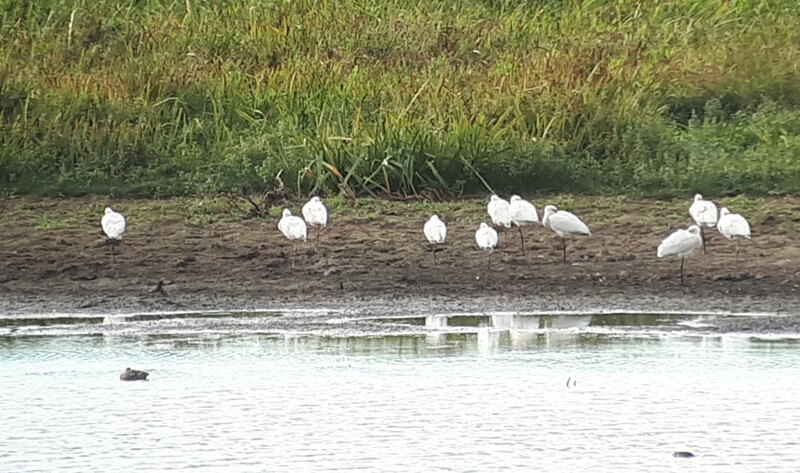 Eleven Spoonbills were impressive, but we didn't linger as we were keen to get a closer look at the egret. 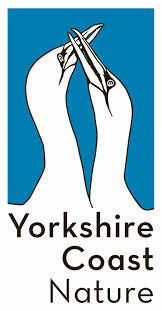 The result of a successful breeding season at Yorkshire's only Spoonbill colony. Awesome scenes! 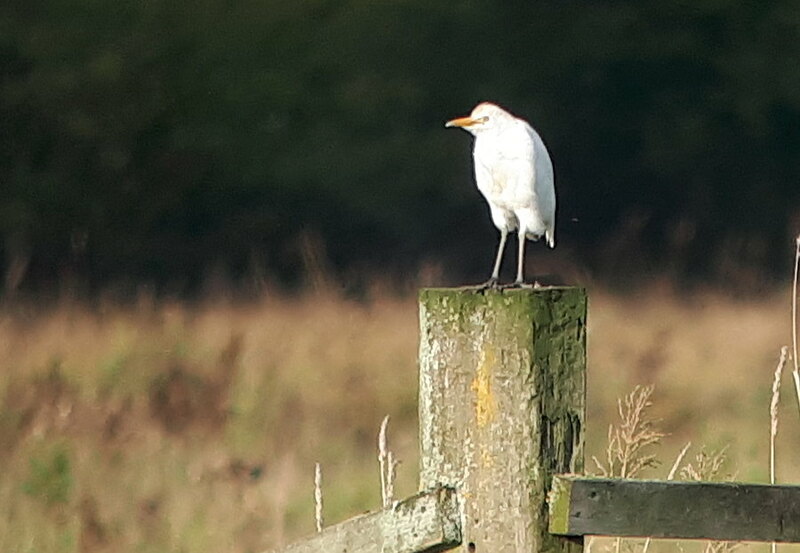 Our first view of the Cattle Egret. Good eyes Emanuela! 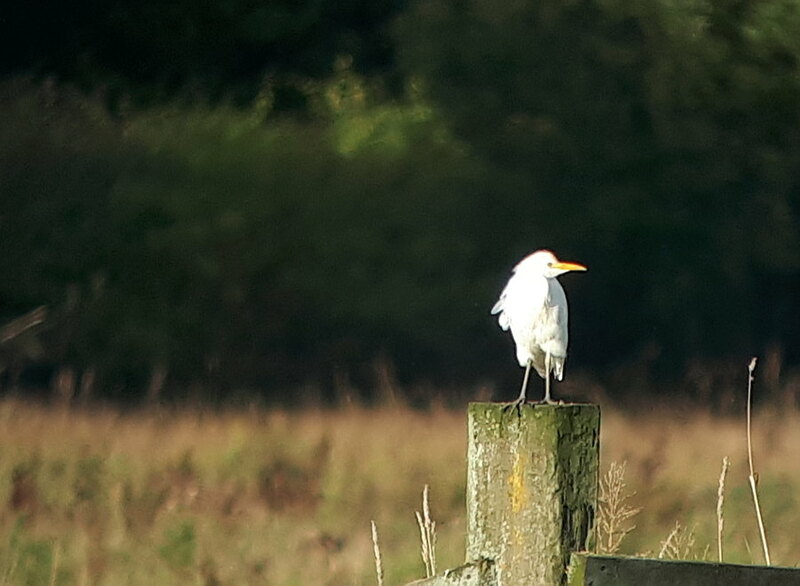 Back down to Lindike and the egret had obligingly moved on to a gate post, where it posed nicely, enjoying the evening sunshine. 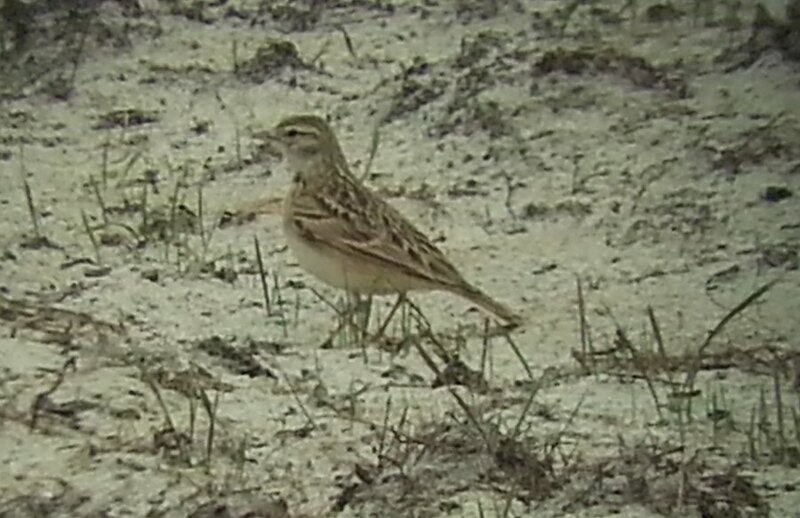 Close-by, four Whinchats were flycatching from the weed tops, giving great views. 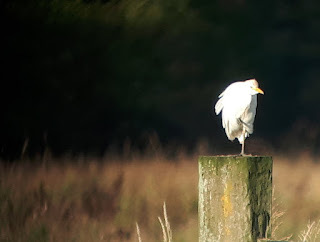 It turns out it is not easy phone-scoping white birds in bright sunlight against a dark background! 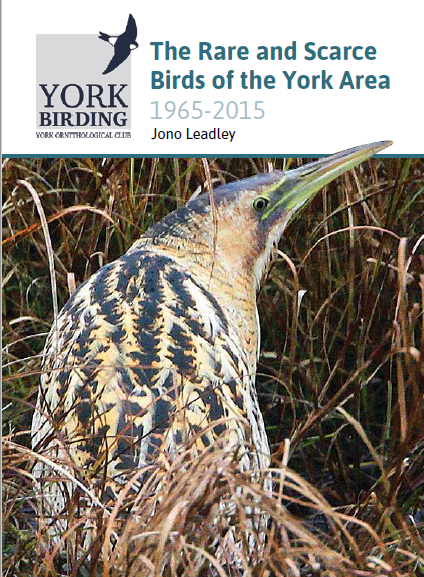 This turned out to be the grand finale to a lovely day out with the York Bird Club. 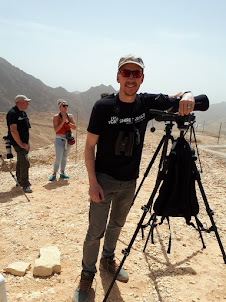 For more info about future trips, check out the website.